Through her background researching human rights violations and assisting victims of domestic violence obtain non-molestation orders Elizabeth has substantial experience of working with people subjected to violence and torture. Elizabeth’s practice focuses on immigration and housing, with a particular interest in vulnerable clients. She appears regularly in human rights and asylum appeals in the First Tier and Upper Tribunals of the Immigration and Asylum Chamber, and in possession, injunction, committal, unlawful eviction, and disrepair claims in the County Courts. She has also represented clients in judicial review claims. Elizabeth is also experienced in international human rights law and the laws of armed conflict. Elizabeth has been involved in human rights work for nearly 20 years. Her commitment to human rights goes back to time she spent in the Middle East, in her student days, teaching English in a refugee camp in Jordan and carrying out post-graduate research in the Gaza Strip. Between 1998 and 2008 she worked for Amnesty International. Her work took her to Yemen, Iraq, and the Philippines, where she interviewed many people about their experiences of human rights abuse, persecution, and conflict. She also developed guidelines on gathering information from vulnerable individuals, including victims of torture and children. She brings this knowledge and experience to her interaction with clients – whether they are seeking protection from abuse abroad or assistance in keeping their home. Elizabeth’s work at Amnesty required extensive knowledge of international human rights law and the laws of armed conflict. She advised on the legal and policy content of numerous Amnesty documents, including amicus curiae, with a focus on the Middle East and Africa. She has a master’s degree with distinction in Public International Law from LSE and combined Amnesty work with lecturing for the University of Tulsa’s graduate study abroad programme. After working at Amnesty, Elizabeth moved into research and advisory work working for think tanks, NGOs and universities. This work focused on using human rights law, including the Human Rights Act 1998, to combat poverty and inequality. She has published in leading academic journals, provided training on the effective use of international law in human rights research and campaigning and participated in various expert meetings and seminars. Elizabeth was called to the Bar in 2015, driven by a desire to apply her skills and knowledge to securing concrete change for individuals. She became a tenant at Garden Court North Chambers in 2016 after completing pupillage. Elizabeth appears regularly in immigration and asylum appeals in both the First-Tier and Upper Tribunals. Her work focuses on asylum and human rights appeals, and she also regularly appears in bail applications for those in immigration detention. Her asylum work has included claims based on all four refugee grounds, but she takes a particular interest in cases involving the definition of ‘particular social group’ – especially where this involves risk as a result of transgressing social or cultural mores. 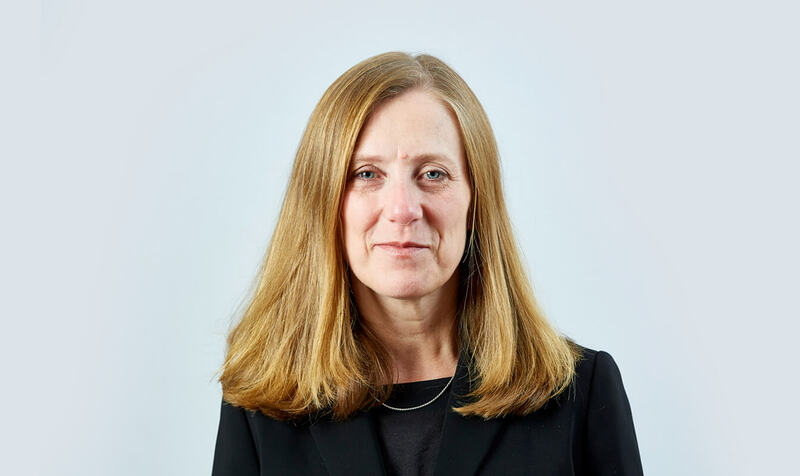 Her work includes appeals based on Article 8 rights to family and private life, including those relying on paragraphs EX1 and 276 ADE of the Immigration Rules and the reasonableness of expecting children to leave the UK. Elizabeth advises on the merits of, and drafts grounds for, appeals to the Upper Tribunal and judicial review of Upper Tribunal permission decisions. She also has experience of judicial review covering Dublin III cases, fee waivers, domestic violence, and deportation. R(I) v Secretary of State for the Home Department Judicial review proceedings: In the face of issued proceedings and detailed statement of facts and grounds the Secretary of State agreed to waive the Claimant’s application fee and reconsider her application for leave to remain under Appendix FM. Elizabeth appears regularly in the County Courts defending possession, injunction, and committal proceedings. She has also appeared for claimants in unlawful eviction and disrepair cases. She has experience of cases where litigation capacity has become an issue and is particularly interested in ensuring such clients are able to access the protections available to them. AH v SA (County Court) Unlawful eviction: Secured special and general damages at trial totaling just under £30,000. The defendant’s application on the day of trial to adjourn was successfully opposed, meaning that trial proceeded in the defendant’s absence, although not without representation. The judge found all aspects of the claimant’s account credible and awarded damages, including £2000 for aggravated damages, £2000 for exemplary damages, and £180 per day of being excluded from the property. Before the Upper Tribunal Elizabeth successfully argued that a decision refusing an application for leave to remain as a victim of domestic violence should be quashed. The Tribunal accepted the arguments that the Secretary of State had failed to fully consider the evidence, including evidence that post-dated the break-down of the relationship. Drawing on her many years working with Amnesty International, NGOs, and universities, Elizabeth accepts instructions for advice on international human rights law and the law of armed conflict. Her work has had a particular focus on armed conflicts in Africa and the Middle East, and on poverty and human rights. She has a particular interest in international humanitarian law and its interaction with human rights law. Elizabeth is experienced in defending applications for injunctions and breaches of injunction. Economic, Social and Cultural Rights in Armed Conflict – International Journal of Human Rights. Elizabeth’s Privacy Notice may be viewed by clicking here.